The Granite Stitch Cowl and Hat set is a warm fall and winter accessory set. This Malia Buttoned Cowl and Beanie Free Crochet Pattern is simple and quick to work up. 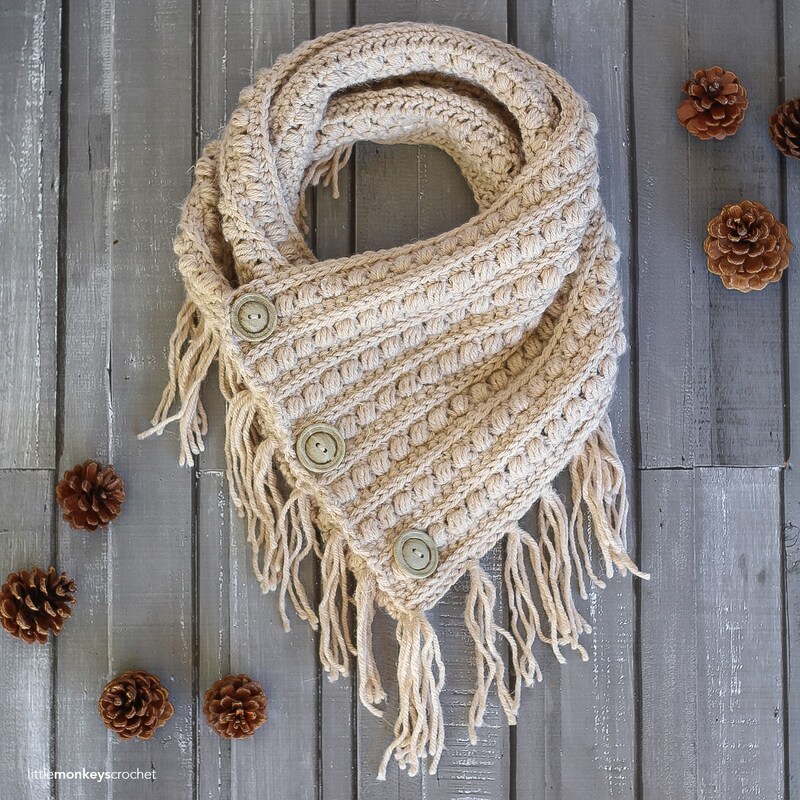 It features an easy stitch pattern and bulky weight yarn, making it a snap. The beanie pattern comes in sizes adult medium and adult large. You can make matching sets for the whole family. If you like the stitch and texture, you can also try some other patterns. The collection includes everything from the cowl to boot cuffs. Thanks Rebecca for sharing all these wonderful crochet patterns.The links for the free patterns are provided below photos. Happy crocheting. You might also like Cable Beanie Hat Free Crochet Pattern.